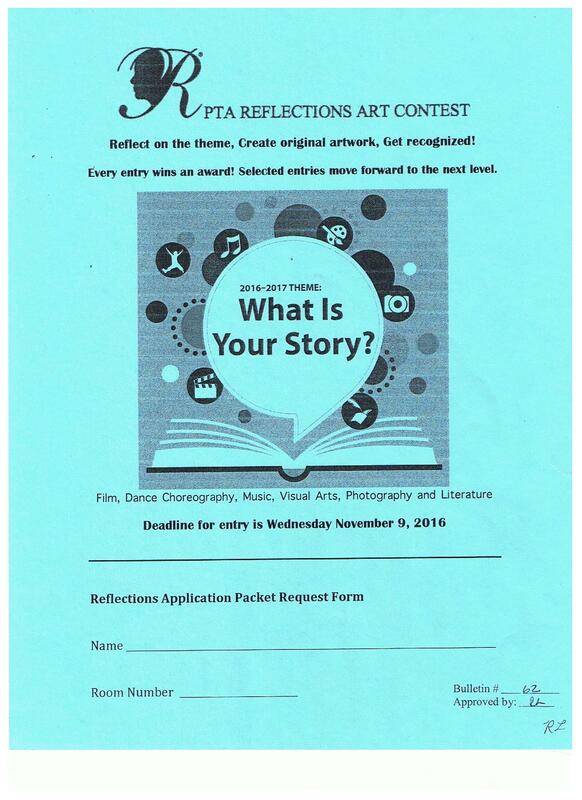 PTA Reflections is a national art contest open to students of all grades and abilities. This year’s theme is “What Is Your Story?” Students may create an original work of art in the following categories: visual arts, photography, literature, music composition, dance choreography, and film production. Submissions are due November 9th. All participants receive an award – select entries will be chosen to advance to the next level of judging. Last year, one of our Apperson students received a National Award of Excellence from the National PTA for his literature piece! We are so proud of all of our All-Star Apperson artists! To request an application packet or for more information, contact Gigi at reflections@appersonpta.com or return the flyer that was sent home with your student.